Your Flood Insurance Questions… Answered! Did you know that floods are the most frequently occurring disaster in the U.S. and that over the past 50 years, every single state has experienced flooding of some kind? You don’t need to live near the coast or a major waterway to suffer flood damage to your home or business. Many assume that if they are not in an area designated as having a high risk for flooding, there is no need to worry. That is simply not the case. In fact, areas with only a low to moderate risk submit over 20% of the National Flood Insurance Plan claims and receive around 33% of disaster assistance for flooding. This interactive tool from FloodSmart.gov illustrates the devastating effect a flood can have on a home. Personal Insurance – Am I Covered for Water Damage? Whether or not your insurance policy will provide coverage for water damage depends primarily on where the water comes from. Typically, a homeowners policy will cover water that comes from above such as rainfall, burst pipes, or ice dams. If the water comes from the ground or “from the bottom up,” as is the case with a flash flood, a river overflow, or some sewer back-ups, a standard homeowners insurance policy will not protect you. Commercial Insurance – Is My Business Protected? Like a homeowners insurance, loss by flood is excluded under commercial property insurance policies and business owner’s policies (BOPs). Any coverage these policies provide, including for the building, your business property, or business interruption, will typically not be available if the cause of loss is flood. A business could acquire a flood policy to cover the commercial property as well as the business property inside the building. There are also some limited solutions for business insurance coverage if flood is the cause of loss. However, finding a policy to cover the property of others under your care, custody or control in the case of flood is currently very difficult. Just because you don’t own your residence or business location, you are not off the hook. Most landlords only hold insurance to insure their property – the building itself; the contents inside the building are not covered. In addition, a standard policy covering a building that is leased for commercial or residential use won’t cover flood damage anyway. If you are concerned about damage to a home or building you own or your personal or business belongings inside a building you rent being damaged by flood water, the best way to protect yourself is with flood insurance. This coverage can be purchased through the National Flood Insurance Program (NFIP) and your insurance advisor can help. On a personal policy, the NFIP provides coverage for the replacement cost of your home, up to $250,000, and the actual cash value of your personal possessions, up to $100,000. There may be limitations on the coverage available for items stored in a basement as well as exclusions for currency, vehicles, and items outside the home such as pools, hot tubs and fences. For those who require more coverage than the NFIP policy provides, excess flood insurance is available. It’s important to note that both business and personal flood coverage through the NFIP has a 30-day wait from the date of policy purchase before the policy goes into effect. Immediate coverage may be available when a flood policy is required at the time of closing on a home or building purchase. That means that the time to investigate flood insurance is well before the meteorologist says a storm is headed your way! No Question About It – Protect Yourself! 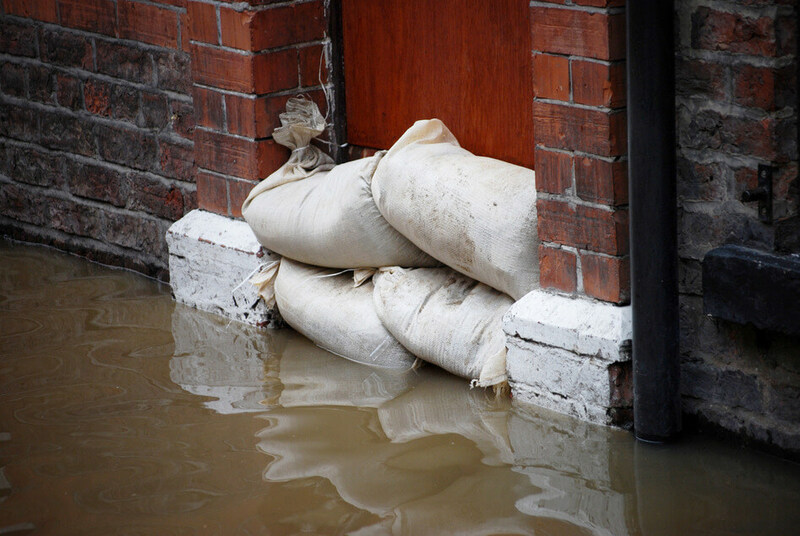 When weather conditions are ripe for a flood, either due to hurricanes, heavy rain or excessive snow melt, the last thing you want to worry about is how protected you are should water invade your home or business. Having the coverage you need when you need it provides peace of mind during what would no doubt be a chaotic time. Talk to your trusted insurance advisor today to assess your risk and safeguard your home, your business and your possessions.